If you love traditional Scottish tea then there is simply no alternative. Scottish tea has a unique strength and liveliness that tastes great and really gives your taste buds something to think about. The Scottish are well-known for enjoying a tipple of whisky, but a lesser know fact is that they are also big tea drinkers. Thousands of Scots treat themselves to one or more steaming hot cups of Scottish tea every day. 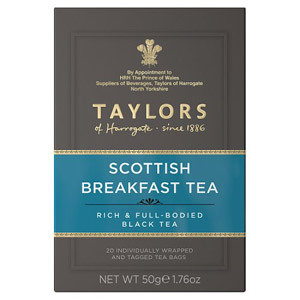 Pick up a pack or two of Scottish Tea Bags today and you will be in for a real treat the next time you boil the kettle!